Social SEO is fast-growing medium of blog promotion and traffic. But what is social SEO anyways? In my own terms, I define social SEO as the optimization of your blog and content for everything outside of the realm of the search engines. Let’s discuss each one of these social SEO elements in the following paragraphs. Following each of these social SEO tips will bring increased traffic, but more importantly, increased loyalty to your blog. 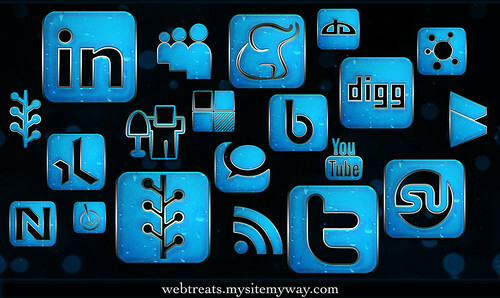 Blog aesthetics simply refers to how your blog appears to your visitors. Harbored within blog aesthetics is the idea of typography, which is the font scheme and layout of your blog. Have you ever considered that how your blog looks can be a determining factor in how well it brings in traffic? You may say “But blog design has nothing to do with SEO.” You would be correct in terms of traditional SEO, but in the terms of social SEO, blog aesthetics are incredibly important. Why? No one wants to link to a blog that looks like junk. Plain and simple. You must always be thinking about how your blog appears visually to your users. Back in the day when flashing gifs and banners were cool, blog aesthetics didn’t really matter that much. However, the times have changed and blog design is an incredibly important social SEO element. Finding a fine balance between design and typography is an ever important part of your SEO strategy. Social credibility is correlated with blog aesthetics. If your blog looks like junk, then many internet goers will assign a negative connotation to your name and/or your brand. Social credibility is vital to the overall success of your blog once it gets off the ground. You can see a rise in the need for social credibility simply by looking at how many product reviews are consulted before purchases. People no longer trust companies and their claims (or your blog and your claims) about a certain product/brand. Rather, they turn to other people who have had an experience with the product/brand and have talked about it. The same goes for your blog. You must make good first impressions in order to gain a sense of social credibility. That way, when those people mention or link to your blog, they won’t feel guilty for doing it. Blog creativity ties in with individualism: how individualistic is your blog? Does it have the trademarks of you on it? You must be able to put your personality into your blog. Creativity is highly praised in this culture, so you better believe that you need to get on the creativity train too. Why do people love Lady Gaga? They love her because she is insanely creative and individualistic. You need to be the same way with your blog. Have you developed a brand for your blog? Is your logo memorable? Do you have a reputation of excellence or is it so-so? Blog branding is another social SEO element that needs to factor into your SEO mix. This element ties in with blog creativity and aesthetics. Does your blog as a whole signify something different than any other blog on the internet? Blog branding is all about details. Details are imperative if you want your blog brand to become reputable and successful. It could be the way your colors and fonts interact with one another, or it could be the sleek images you use to line your sidebar headers. Whatever it may be, make sure your details are a memorable and visible part of your blog brand. Let’s face it: you need some type of community presence for your blog to be successful. Blogs are built around something to form a community of people. If your blog is not about building a community, then you will have trouble in maintaining positive social SEO. Write in forums, make guest posts for other bloggers in your niche, be an active commenter on other blogs. Make your presence known to the blogging community in some shape, form or fashion. Offer your expertise outside of your blog for a change. It might make all the difference in the world. Not really sure if ‘virality’ is a word, but I will use it anyway. Blog virality refers to the ability for your blog to go viral at some point. When you combine the previous 5 social SEO elements, this 6th element should be much easier to achieve. Do you have interesting, unique content on your blog that has the ability to gain viral traffic? Is your content linkworthy? Build your presence in the Digg, StumbleUpon, Delicious, Twitter, Facebook and Reddit communities in order to increase your chances of your blog going viral. The good and positive thing about social SEO is that once you have gained popularity, success becomes a self-reinforcing idea. This basically means that the popular blogs just get more popular. Social SEO takes a lot of work (in my own opinion, more work than traditional SEO). Please don’t forget that social SEO is only one side of the coin. Traditional SEO still matters. Once you put the two hand in hand, you have a powerful SEO force that is hard to be stopped. Thomas Griffin is an SEO student that loves to help others understand the intricacies of search engine optimization. His blog, SEO Blog Help, is designed to help beginner bloggers get their feet wet in good ole’ SEO knowledge. Image credits to Webtreats under CC. You can also do guestblogging on QOT and share your SEO tips.